Hi All. I wrote in my previous post that I use to fold my hackles with my scissors. I then promised to show some pictures on this method and here it is. This work on most of feathers and I also use it for the throats. I use the edged back on my scissor but you can choose anything that has a not-too sharp edge. but on this fishing fly I keep it like this to help bulk up some taper to the body. 3. Tie in the hackle were you want it. 4-5. 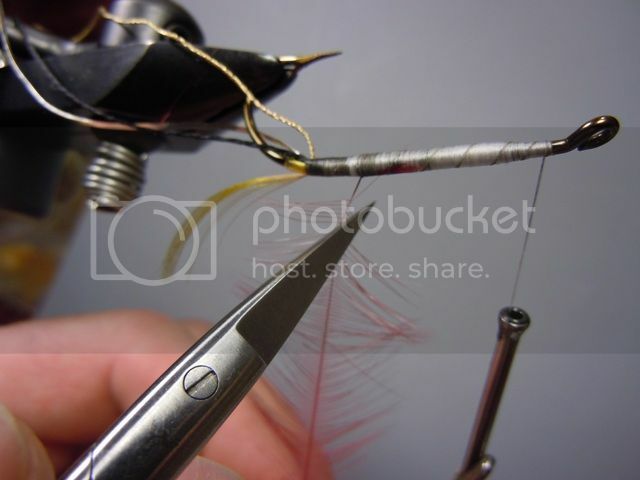 Grab the hackle by the root and pull it up (or down if you like) .Put the scissors in a slight angel against the stem. 6. 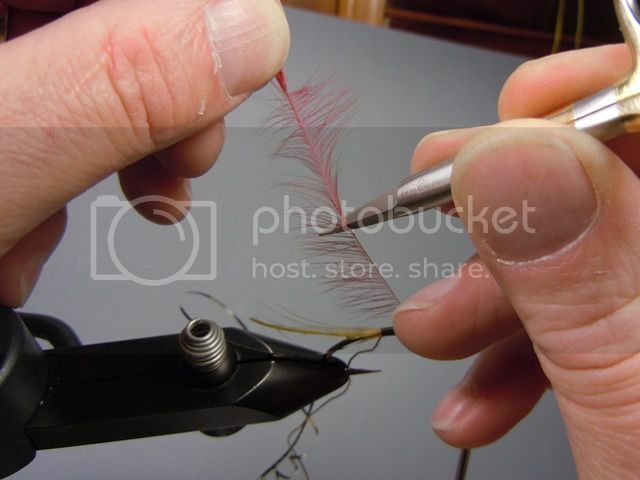 Now put a little pressure against the stem with the scissor and start pulling towards the root of the feather. 8. If everything works well it might look this. As said before, “there are many ways to skin a cat”. 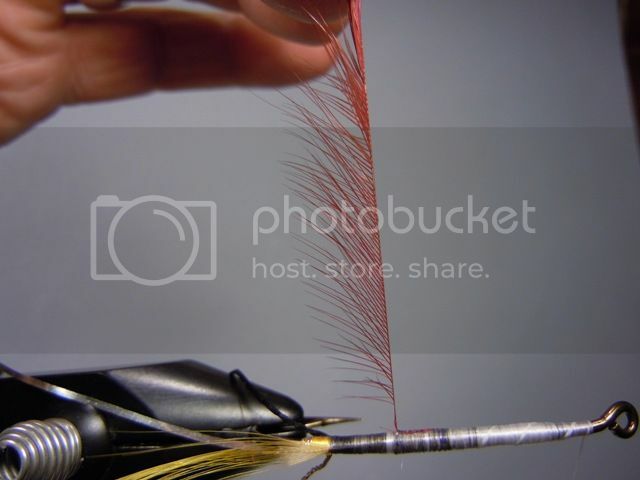 This is my way to fold a Hackle, wich has worked for me for a long time. As usual it takes some practice, but when you learn it, it can be very useful. Nice 'work' and 'tutorial'........such a helpfull 'one' even ! It will be a extremely wellcome 'tutorial' my friend !!! 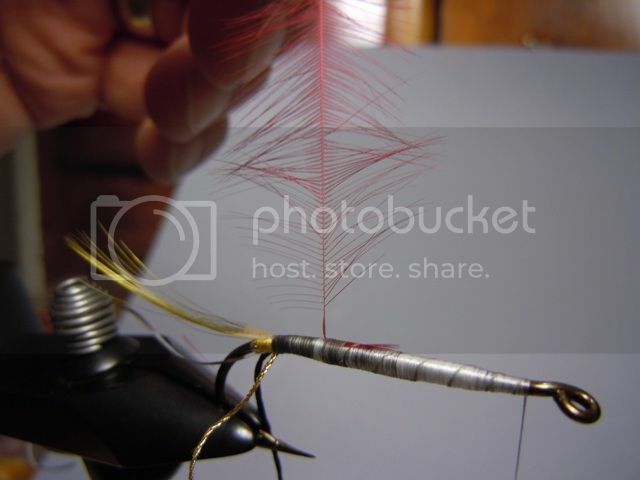 very interesting technique and I will try to use it in my next tying session. 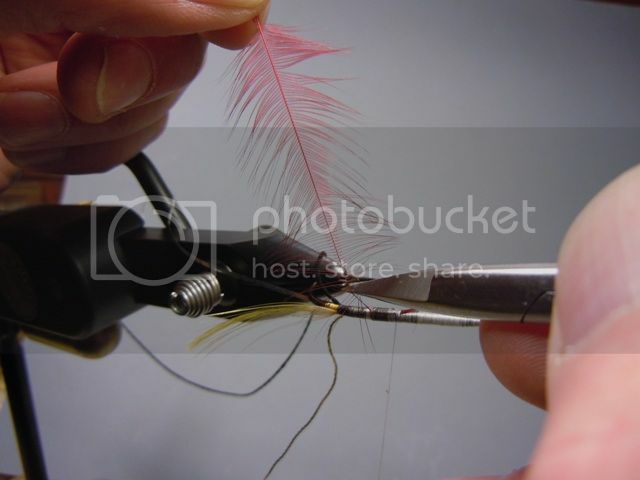 I generally "double" the hackle with the finger tips of one hand, but I want to see if I can get a better result with your suggestion. thanks Sven, thats one thing i've been struggling with. Its always the simple things that are usually the hardest! Interesting method and great result! Thanks for sharing, Sven. Will try it instead of usual way with fingertips. Thanks Sven! I'm going to give this one a try. Really appreciate the time you spent on this. Thats just mega Sven,what a cool method,gonna try this for sure! I fold mine almost the same way. I don't tie it in first, however. 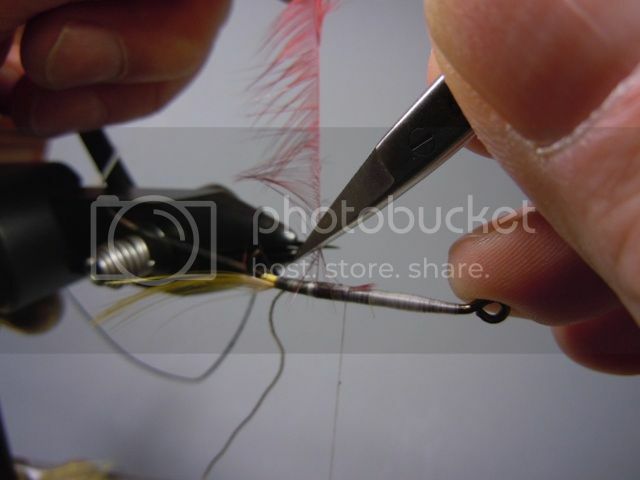 I always have a pair of hackle pliers dangling off the back end of my vise to attach the hackle for scissor folding. Thanks for the pics! It's always difficult to explain this method without showing it. I always tell people that you can feel the feather "clicking" when you do it right...you probably know what I mean, Sven. I do this also, but normally just do the one side. I will try it on both sides and see how it goes, should be better. Thanks for putting this together. I am going to try this out tonight. 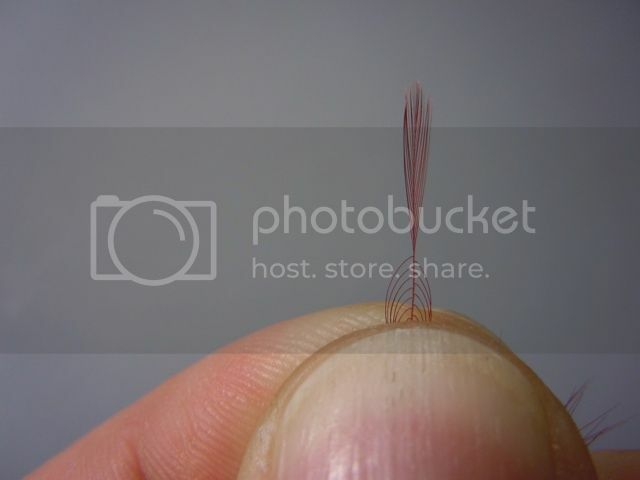 It appears that when I just use my fingers it starts out looking nice, but when I work my way up the feather it seems to loose what I accomplished on the earlier part of the feather. Likely I just need to practice more, but I will give this method a go and hope for the best. Well, thanks again as these tutorials help more than you know. I tried this a few days ago and it worked like a charm. And there was a distinct clicking sound when I moved the scissors up or down the feather. 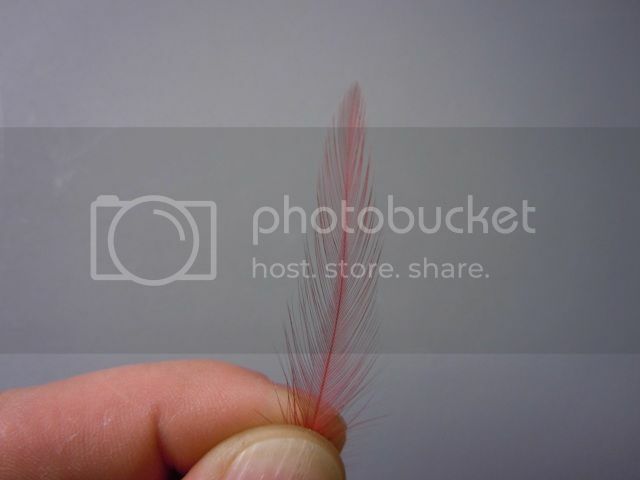 Folded that hackle in no time and I found it much easier than folding with my fingers. Many thanks for sharing this. Cheers.